While most industry observers are perceiving Jawbone’s abandoning the consumer fitness tracker market, repositioning into the clinical B2B2C vitals market, and seeking fresh financing as a last-ditch effort to save the company, Jawbone continues to be highly active in one place–court. Last week, Jawbone filed a lawsuit against Fitbit and five former employees in California state court for theft of trade secrets and has rebutted Fitbit’s motion to dismiss in a 27-page filing. According to Fortune’s account of the lawsuit, Jawbone’s filing states: “Each of the defendants has been, for more than five months, the subject of a criminal grand jury investigation regarding theft of Jawbone’s trade secrets that is being conducted by the Department of Justice and the Department of Homeland Security,” a charge that Fitbit calls ‘fictional’ and false. The court hearing in San Francisco is 15 February. The legal skirmishing, which largely has gone Fitbit’s way [TTA 27 July] in the US International Trade Commission, indicates that Jawbone is still spending money to protect what is left of value in the company–its patents and intellectual property (whatever hasn’t been voided). Jawbone $100 million ‘gem’: the BodyMedia patents acquired in 2013 [TTA 30 Apr 13]. BodyMedia had FDA Class II clearance but a clunky form factor. This IP is a critical save if they want to go clinical. Fitbit’s shares continue to go down, an indicator that the mud is rising. Also Bloomberg with video. 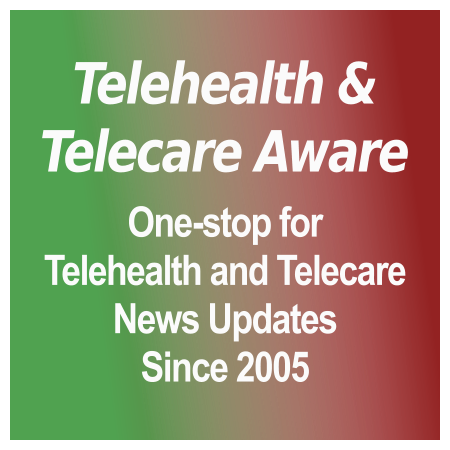 [grow_thumb image=”http://telecareaware.com/wp-content/uploads/2014/05/acitivity-trackers_wellocracy_chealth-blog-kvedar.jpg” thumb_width=”150″ /]The current judgment on commercial fitness monitors is that they are worthwhile directionally, but accurate–not so much [TTA 10 May 14]. This may be changing, albeit on a specific, non-clinical measurement. A Columbia University Medical Center (New York, NY) team tested the Fitbit One and Fitbit Flex for tracking energy expenditure during treadmill walking and running exercise, versus energy expenditure assessed by indirect calorimetry, and found themto be valid and reliable devices. Correlation between measurements was 0.95 – 0.97. These devices were interestingly placed on wrists and hips; perhaps a user can enlighten me. Poster presentation/Abstract MP11 published in the American Heart Association’s journal, Circulation. Misfit joins up with the Pebble smartwatch. The Misfit Shine, which has enjoyed much appreciation by the D3H as the ‘elegant button’, announced it will distribute its tracking app and algorithm technology to smartwatch makers. Pebble is the first and not exclusive. Sonny Vu, not known for his subtlety, is quoted in VentureBeat: “If I kept making just fitness trackers, I would be out of business in 12 to 18 months.” Misfit will continue to sell Shine in the US and internationally for at least another few quarters to meet demand for a fitness-only tracker. It shows you how quickly the weather changes: with $23 million in hand, and a Series B last December of $15.2 million, they are pivoting–quickly. John Sculley and other bluechip investors like Khosla Ventures and Norwest Capital obviously see a boulder in the road. Microsoft moving to get into the smartwatch biz. Their patent filing of 2012 was just the first move but both Forbes and VentureBeat have confirmed rumors the device is a go. And they have a core of techies (Xbox) to work on it and the perfect place for the data: Microsoft HealthVault. Nothing like a smartwatch to jolt some life into a moribund PHR! [grow_thumb image=”http://telecareaware.com/wp-content/uploads/2013/02/gimlet-eye.jpg” thumb_width=”150″ /] APPROVED by The Gimlet Eye, on assignment directing Air Traffic Control for Mr. Claus. Our final pre-Christmas post is from the ‘♥ Sister’ herself, Carolyn Thomas, who has written this most witty communication that you may well receive from your favorite (?) Quantified Selfer. If not, reading this you will be forearmed at holiday tables and gatherings. You will view your QS nephew or friend in a new, more tolerant light. Wearing their Google Glass, tracking the cookies and egg nog on their Fitbit or Jawbone UP, passing around the Misfit Shine, obsessing on what workout will most efficiently balance the caloric intake…. To the rescue? Spot the Dog. Fitbit, Jawbone and Shine make great chew toys, and Glass…will Spot get to it before the video hits the cloud? Partners HealthCare’s Center for Connected Health has launched Wellocracy, to explain to consumers how you can get the most out of their fitness trackers, health apps and related devices. It won’t be a ‘Consumer Reports’ of devices or apps (though provides a comparison chart), ‘curate’ them as the now seemingly dormant Happtique once intended to do or screech at you on your ‘issues’ as Cigna’s Go You does, but offers sensible advice on how to get the most out of the kit you just bought and the information it provides. Also it addresses the ‘stickiness factor’–staying with a regimen–connects to outside news and adds a large dollop of social engagement with sharing ‘The New Fit Revolution.’ Coincidentally, The Center’s Joseph Kvedar, M.D. just co-authored a book, Wellocracy: Move to a Great Body, with Carol Colman and Justin Mager, MD. Release includes a useful Harris Interactive survey that indicates that fitness and sleep tracking are seen favorably and perceived as valuable but is still large on potential, short on customers. Samsung Galaxy S4’s S Health: fitness tracker disruptor? Holy crap, Samsung put a health tracker in its phone! Which is actually a great idea. S Health is an app that will track your steps, stairs climbed, and the ambient temperature and humidity, plus track your food intake and estimate calories consumed/burned. You can even track sleep with an optional accessory (see below). Fitbit and co. should be nervous, although I’m curious to see what kind of ding this puts on your battery life. There are also a bevy of accessories that complement the S Health app. There’s a wristband you can wear independently of the phone (in case you prefer running without it), which will track your steps and monitor the quality of your sleep. It will then sync wirelessly with the app. There’s also a connected scale and heart rate monitor. Again, this isn’t good news for smaller fitness tracking companies. [grow_thumb image=”http://telecareaware.com/wp-content/uploads/2013/03/s-health-via-device-foused-message1.png” thumb_width=”250″ /]If the implementation is high quality (and some commenters have issues with Samsung), Fitbit et al. could themselves be disrupted straight out of their (current) business model and consumer market, just like they did to Zeo. S Health integrates–it’s already on your phone, it largely does what they do and gets the fitness tracking job done (‘Total Reports’) for most who are interested for free, even without the few available accessories. No downloading and going to Amazon or Best Buy to buy a raft of expensive accessories to make it work with your phone. No annual $49 membership so you can access your data. Worst of all for the current crop of fitness trackers, not one–not even Nike–can beat the Samsung international distribution network and only Nike beats Samsung on brand recognition. Is it a deal-maker for consumers? Probably not, but it gets much much closer to the customer. Also a few things that Samsung has introduced–the Air View/Air Gesture eye tracking and gesture control–have great potential for app designers in other aspects of fitness and health. We’ll have to wait and see–not too long– if other smartphones (HTC, Apple, LG, even BlackBerry) add fitness tracking. If I were Fitbit or Nike, this Editor would be hopping like an Easter Bunny to cut a licensing/partnership deal with them. BlackBerry with Nike FuelBand…. Related articles: Dan Munro over at Forbes cheers Samsung on in Latest Samsung Smartphone Adds Health Functions, Sky News adds the international perspective. CNet reports accessory pricing: S Band and Body Scale at $99.99 each, Heart Rate Monitor at $69.99. 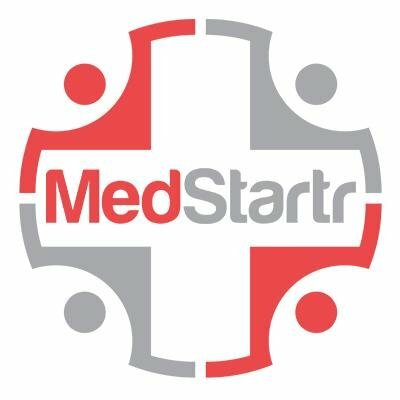 Update 18 March: Lt. Dan opines at HISTalk on What it means for healthcare and mHealth [WARNING 31 Aug 2014: linked page may now be infected with malware] –the market pushing for bigger smartphones that blur the line between phones and tablets, the navigation capabilities of Air View for EMR. A cold-waterish review/comments at iMedicalApps doesn’t think much of the native temp/humidity feature (your Editor begs to disagree); again a commenter brings up Samsung’s track record of weak software, but agrees that Era of mobile health tracking definitively arrives. Hat tip on these two updates to the 3G Doctor, David Doherty, via LinkedIn’s mHealth group. ZDNet notes Samsung’s Knox software to separate personal and business use on one phone, along with SAFE for enterprises.